I haven’t attended paper based examination for quite some time now, especially when it involve me answering hundreds of objective questions. To be honest, I’m not that confident with this examination. Don’t get me wrong. it is not that I doubt my electronic and radio communication skills, but its more to my self doubt when confronted with a bunch of objective questions, especially when I studied a lot of questions (but with confusing answers) regarding the examination tomorrow. 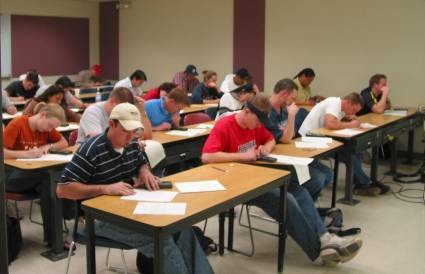 I’ve been preparing for a couple of weeks for this exam, it will be attended by a lot of candidates, and I suspect that the venue would be filled with amateur radio old-timers or ham radio rig sellers that would try to persuade candidates to buy them. For those who are new to this, amateur radio examination is a must for those who are interested to operate an amateur radio station. 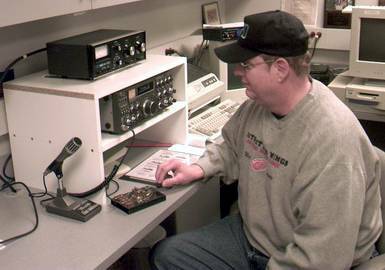 The examination will determine if you are qualified to earn a license to communicate with other amateur radio operator (hams). Although radio communication is considered an “old fashioned” way to communicate since we already have internet and mobile phones, ham radio is still favored by enthusiast as a way to meet new friends and organise activities over the radio. Currently, Malaysia has at least 4,000 licensed ham radio operator across the country. Please refer to wikipedia page for more information about Amateur Radio in general, and MARTS website for Malaysian ham radio-specific information. p/s: Ham radio operator is not a paid job, its a hobby. Any body can participate as long as they are licensed.